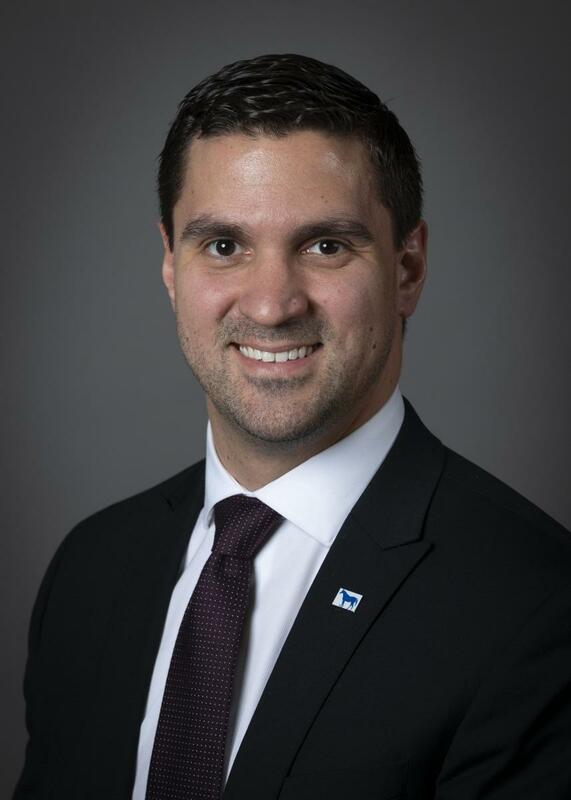 Council Member Josh McCurn was elected as representative of the 2nd District in November of 2018. Josh formerly served as the President of McConnell’s Trace Neighborhood Association and co-chair to a business leadership and diversity committee. Josh continues to volunteer as a youth mentor and coach with Lexington Youth Soccer Association. He is also involved with the Meadowthorpe PTA, and actively volunteers throughout his community. Josh has always had a passion for being involved and working to give back to his community. After receiving his BA in Political Science from West Chester University of Pennsylvania, he moved to Lexington where he met his wife Paige and they now share their two boys, Adam, 7, and Chase, 2, and three dogs (Gracie, Lexi and Toben). His family is his biggest support. Josh has exuded a passion for community involvement from a young age and has always worked to be actively involved in making a difference. His passion leads him to work together with the neighbors of Lexington as well as focus on their needs and our community’s future. He focuses on tackling problems and making Lexington an even better place to work, live and raise a family. The 2nd District is one of the largest and most diverse Council districts. Geographically, it extends from West High Street to Jefferson Street, including Manchester Street, Leestown, Georgetown, Citation, Newtown & West Short, 2nd, 3rd and 4th streets. Some of the neighborhoods located in the 2nd District include the Historic Western Suburb, Irish Town, Griffin Gate, Meadowthorpe, Masterson Station, Coventry and Belmont Farms, to name just a few. 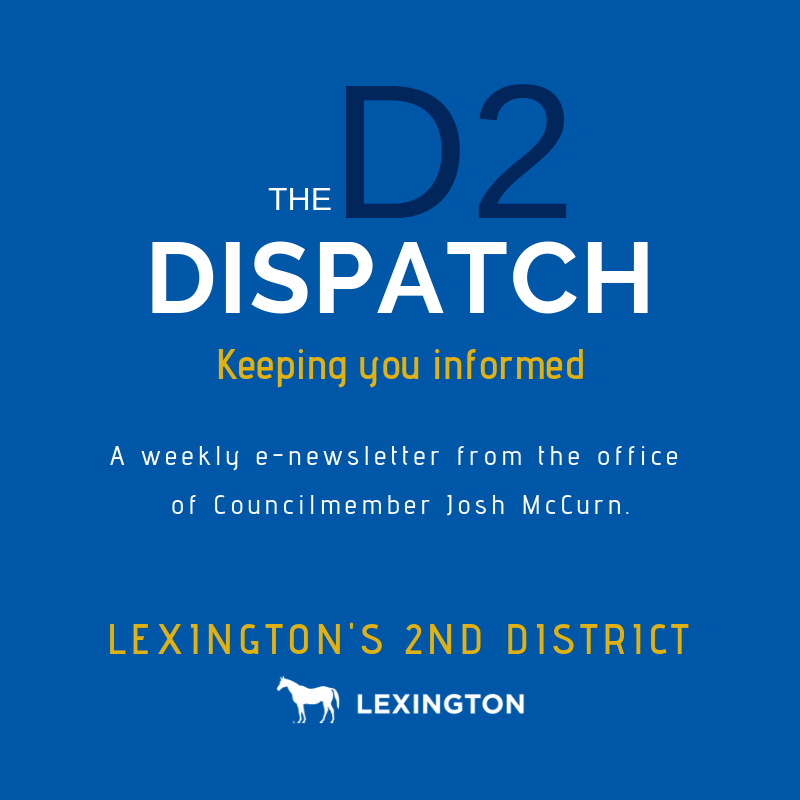 The 2nd District is home to some great tourism and recreational opportunities including Lexington’s birthplace – Historic McConnell Springs, Town Branch Trail, Masterson Station Park, the Legacy Trail, Coldstream Park, part of the Bourbon Trail and the Distillery District.